And Viola! Another masterpiece photo I shot in the middle of the road. This photo was shot 3 months ago together with my latest blog I posted yesterday. 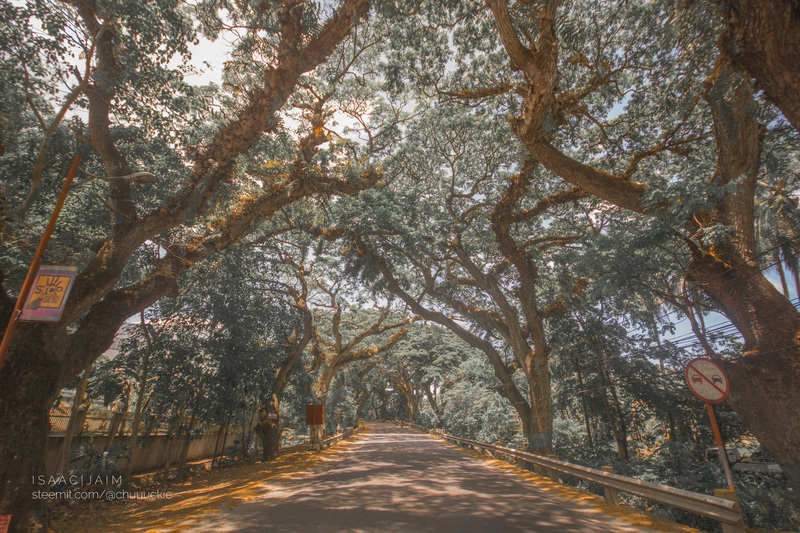 So this enchanted tree was shot in the highways between Cebu and Naga. I managed to take a 23 burst shots because there was an incoming bus behind me. To make this blog more short, simple and precise. The shot was taken by a 700D camera – Old but Gold. The lens I used is a Sigma Wide angle lens 10mm-18mm with an aperture of 4.0 to 5.6f. What I really like about this lens it is because, it is great for landscape photography just like this. In regards to Photo-editing. I manually adjust the saturation of our leaves which is green, and brighten up the yellows, red & orange a bit. I also adjusted the contrast, the clarity of the photo, the highlights which is down to -25 and the shadows up to +15. (Keep in mind that I only use Adobe Lightroom for my editing). If you think that your photo is un-balanced, you may click the crop section on the top right of your Lightroom and click the Auto-scale to make it look like more balanced.